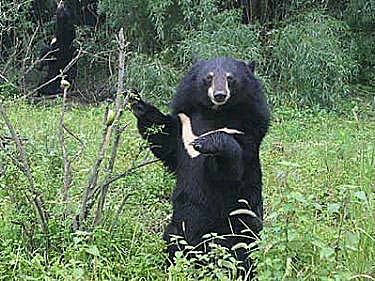 The Baluchistan black bear Selenarctos thibetanus gedruosianus is a subspecies of the Asiatic black bear. Many believe it to be the only "true" subspecies. It is known as "Mum" by the local people of Baluchistan. 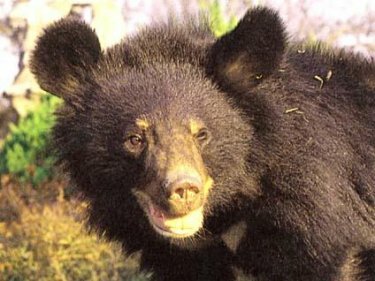 The Baluchistan black bear is found in the higher ranges of the province of Baluchistan in Southwest Pakistan and Southeast Iran. It's greatest stronghold is in the hills south of Khuzdar. It is also found in Takht-e-Suliman, Toba Kakar, Ziarat, and Kalat. It once was found in almost the entirety of Baluchistan. However, it is now considered extinct in most of the area. Deforestation and loss of habitat is the greatest problem it faces. 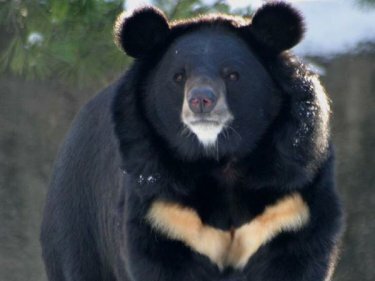 Like other Asiatic black bears, Baluchistan bears have a cream colored crescent patch on their chest. Baluchistan bears are slightly smaller, ranging in size from 55 to 75 inches in length and weigh between 200 and 400 pounds. Most of them also have shorter, coarser, browner fur that is often more of a reddish-brown than black. The Baluchistan bear will eat green plants, fruits, berries, seeds, honey, and insects. It also feeds on small vertebrates such as birds, rodents, and lizards. Females mature at between three and four years of age. In Pakistan, mating reportedly occurs in October. The gestation period of the Asiatic black bear usually lasts from seven to eight months. However, it is believed to be shorter in warmer regions than in colder. The Baluchistan bear has anywhere from one to three cubs in February. The cubs are born blind and totally dependant on their mother. They are weaned at about six months, but remain with their mother for two to three years. Females can produce a liter of cubs every other year. They have been seen in the wild with offspring of different ages. The Baluchistan Bear is one of the rarest mammals in the world and is on the IUCN's Red List of Threatened Species. It is also protected by the Convention on International Trade in Endangered Species of Wild Fauna and Flora (CITES), banning all internatal trade of any products derived from the species. Efforts are being made to save the bear, though it is still threatened by deforesting and overhunting. The natural life span is from 25 to 30 years.